1. The narrator of February Flowers begins her tale with the words “After my marriage ends …” (page 1) situating the reader in the midst of her life, akin to beginning “Hansel and Gretel” in the midst of their search for bread crumbs, trying to find their way home. Why do you think Ming chooses to begin her story in the middle and not at the beginning or even at the end? What does it tell us about the kind of story that we are about to be told? What effect does it have on us as readers? 2. Ming is portrayed as a cautious, serious, and even withdrawn teenager. Between her and Yan, it seems that Ming is the “good” girl and Yan is the “bad” girl. To what standards are both Yan and Ming conforming? Against what is each girl rebelling? What from Ming’s past might be the cause of her evident caution and even disdain toward both the world generally and men specifically? 3. Why do you think Yan decides to embrace her sexuality and womanhood while Ming prefers to deny hers? What impact do you think their upbringing had on their notions of female sexuality? Does February Flowers seem to say that our childhoods impact how we view ourselves as we grow up, or that our natures are strictly innate? 4. Throughout the book, Ming makes many references to high heels, associating them particularly with Yan. “The sound of her heels clicking on the rooftop cement lingered in the air even after she had disappeared” (page 20). And at the end of the story, when Ming herself has taken to wearing high heels, she writes, “My high-heeled shoes are hurting…” (page 239). Discuss how high heels could be viewed as a metaphor for Ming’s perception of womanhood and sexuality. 5. Discuss Yan’s attitude toward authority, specifically male authority, and contrast it to Ming’s approach. Based on their histories, do their respective attitudes make sense to you? Why or why not? 6. What do you think is at the root of Yan’s and Ming’s relationship? If, as Yan seems to think, everyone uses everyone, of what use is Ming to Yan? What does Yan hope to gain through her friendship with Ming? Do you think Yan was as attached to Ming as Ming was to her? 7. Throughout the book, Ming is touted as the intellectual, while Yan is more sensual. Which approach to life, if either, do you think the author is advocating in February Flowers? Based on the book, which approach seems smarter? What exactly would you say constitutes intelligence in February Flowers? 8. Why do you think Ming, at the age of seventeen, has never experienced as she says, “camaraderie” (page 45), or even intimacy, until she meets Yan? How do you think each is changed through their relationship with the other? 9. Why is gaining power over men so important to Yan, while Ming prefers to lose herself in books? What does each hope to gain? In what ways are the two women similar? 10. At the end of the book, Ming writes, “I have never wanted to see the city as much as I do today — it’s nothing close to perfect but it’s where I’m most comfortable” (page 239). Compare this perception of the city to the perception that she has upon first arriving at the university. Using Ming’s changing feelings toward the city, can you track her growth? What does her perception of the city at the end of the story tell us about how she has changed? 11. Throughout the story, it seems that Ming believes that someone like Yan can teach her how to become a woman. She writes that she was looking for someone “to help me realize my womanhood and discover my sexuality” (page. 228). Does Ming learn how to realize her womanhood and discover her sexuality from Yan? 12. Near the end of the book, Ming visits a bar where she meets a woman. The woman says to her, “A little innocence always makes a woman more alluring” (page 237). By the end of the book, what does Ming learn about what actually makes a woman alluring? 13. Why do you think Yan disappears without letting Ming know that she is leaving? Do you think her leaving had anything to do with her relationship with Ming? 14. 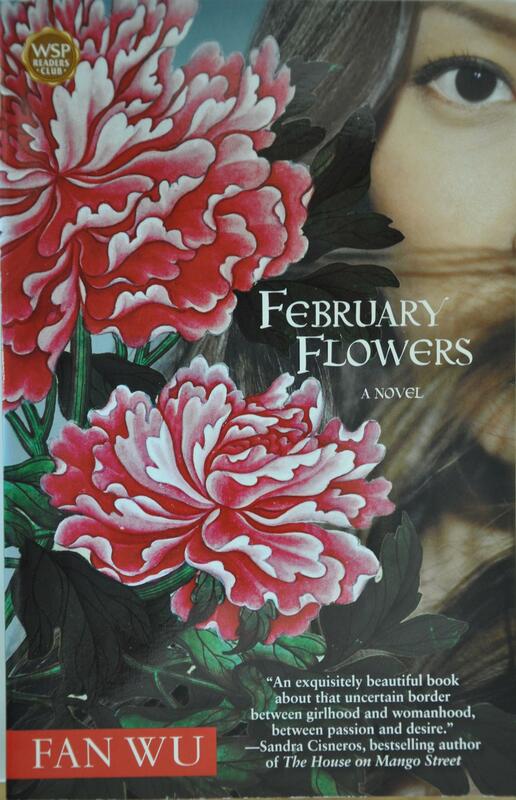 Why do you think Fan Wu entitled her book February Flowers? For what might “February Flowers” be a metaphor? 15. If the narrator did not tell the reader that the story was set in 1991 China, how would one surmise this? What details does Fan Wu use to let the reader know where the story is set and in what time period? 16. Ming makes many references to the fond time that as a child she spent “alone in the dark attic” (page 224). Why do you think this memory is so strong and lingering for Ming? What does the dark attic represent to her? 17. It seems that Ming could have easily searched for and perhaps even found Yan once she had disappeared. Ming tells us that she had so many questions to ask Yan, yet “was afraid to bring back the memories. Even if [Yan] had enclosed her contact information, I doubt I would have called or written back” (Pg. 227). Why do you think Ming was afraid to bring back these memories? What do Yan and that time represent to Ming? 18. In the end, what do you think Ming has lost? What has she gained? Do you think Ming would agree that the trade-off was worth it? Has whatever Ming lost been replaced with something of more value? 19. One might say that Ming represents the China of old while Yan represents the China of new. This struggle between old and new seems to be alluded to throughout February Flowers. Discuss and find examples of how this struggle is reflected in the city itself, in the lives of the students at the University, and within the characters of Yan and Ming. 1. Throughout the book, Fan Wu paints beautiful visual and aural images, what one might describe as word paintings. Find some of these word paintings in the book and discuss in what way these metaphors might be perceived as particularly Chinese in nature. To help you might want to listen to “Butterfly Lovers” (page 10), the Chinese violin classic that Ming says she played for years, or find examples of Chinese art and see how this, too, could be said to be reflected in Fan Wu’s prose. 2. Choose an author like Faulkner or Hemingway and discuss why, in contrast to Fan Wu’s seemingly delicate images, their images and prose might be described as masculine and American in feel. 3. Discuss any of the following novels that focus on young men and women coming of age in nineteenth-and twentieth-century America, and examine how those characters’ experiences growing up in America compare to those of Ming and Yan in China.